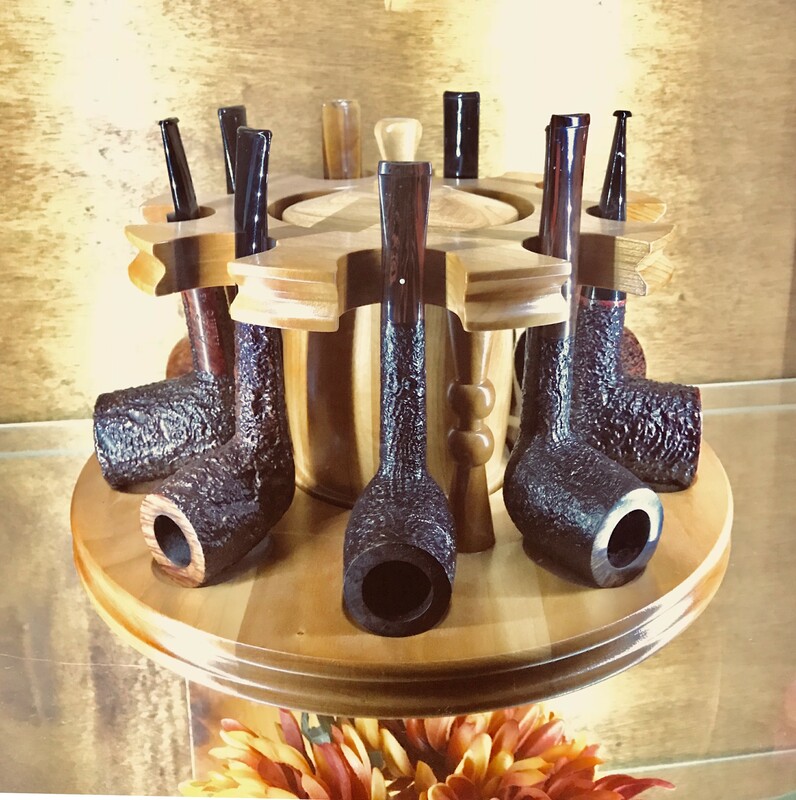 Just thought we needed this thread, and also wanted an excuse to show off the new pipe rack I was just given by a good friend. 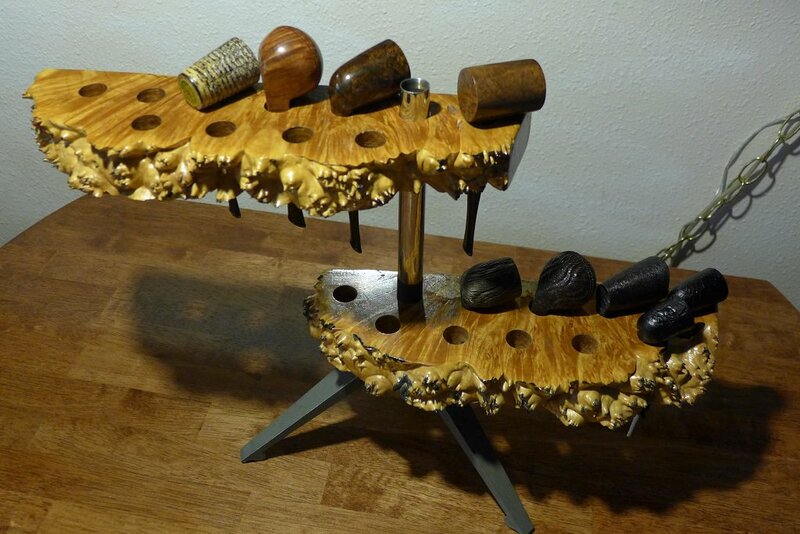 So show us your racks, drawers, or wherever you store your pipes. If I ever find one cheap I'd probably buy one. I think I'd want one big enough for all my pipes and for it to hang on the wall. I was looking at some online since this thread started and they ain't cheap! Where are all the pipes, Padre? I actually really prefer that style of rack to the one I have. I am always worried that I am gonna be a bonehead and scratch the shank when pulling the pipes out. I also have a handful of pipes where the shanks are a little too wide to fit in the holes which means individual pipe stands for those, which gets kind of cluttered. This was taken when I got it - before it was populated. It has 7 rows with 13 pipes each. Initially I thought that was about right to have a row for each day of the week. The problem of course is that this style of rotation does not work well for my style. I will be running around with a pipe in my mouth and smoking it multiple times before swapping it for another. 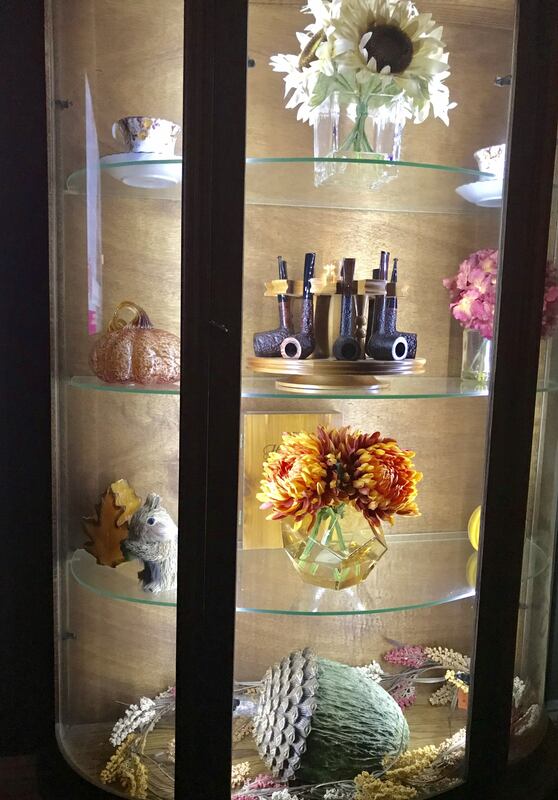 The wife has a lighted curio cabinet in the living room that she rotates seasonal decorations in. I infiltrated it with a little touch of masculinity by placing one of my rotating pipe racks in it. Amazingly enough, she actually likes it in there. A few of my nicer straight briars. A couple Dunhills, Castello, Ser Jacopo, Radice, Ascorti, and Il Ceppo. 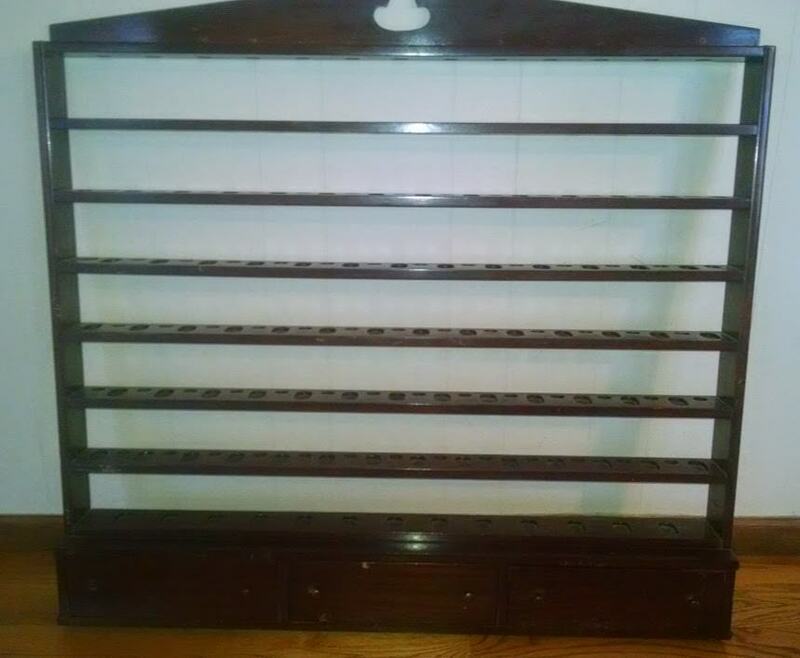 I used to keep my pipes on a shelf near our slider window in a two sided pipe rack. I did notice that the ones on the window side of the rack tended to oxidize a tiny bit faster where the stems faced the window. Another thing worth noting - I had a pipe as a decoration on my desk in a little stand. It sat next to a bright fluorescent lamp that was on a lot while I sat at my desk. I couldn't figure out for the longest time why the stem would turn green on one side of the pipe when my office was a windowless cave. Turns out Fluorescent lamps give off a fair amount of UV. Later when I left that job I took the pipe home and discovered that the UV had faded the finish on one side of the pipe, and I was just so used to looking at it I hadn't noticed. I wish I still had it to show you a picture, but there was a pretty distinct line where the pipe faced the lamp.